Ever heard the saying “the dose makes the poison”? Well that rings true for all kinds of healthy foods as well! Now, that doesn’t mean you should ditch your whole foods diet for some chips and soda, but it is worth knowing what’s in your food. Even the healthiest fruits and veggies can put you in the hospital (or worse!) if you eat them wrong. Here are some super healthy foods you probably didn’t know could kill you, and exactly what you shouldn’t do if you don’t want to visit the friendly doctors at your local ER. Tomatoes can be a tasty (and healing) addition to all kinds of dishes (and even on their own! ), but beware: they’re a part of the nightshade family. The nightshades include other healthy foods like eggplant, and the belladonna, one of the most toxic plants in the Eastern Hemisphere. Tomatoes contain toxic tomatine and solanine, but fortunately only in low concentrations, and only in the leaves and stems of the plant. You’ll probably be fine unless you plan on binge eating heaps and heaps of tomato plants. 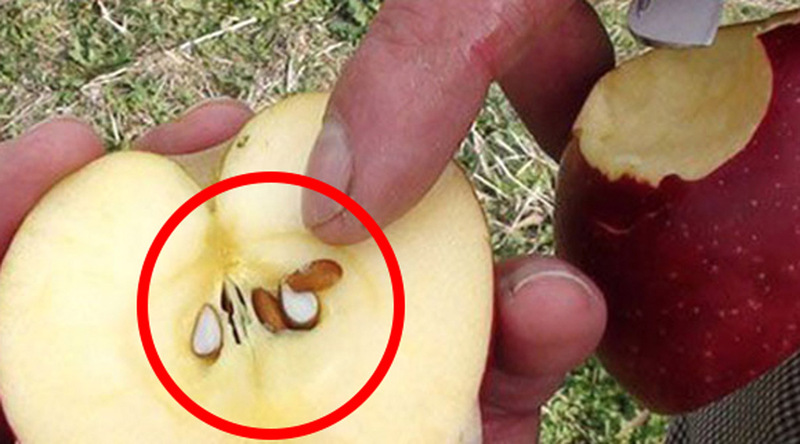 They say an apple a day can keep the doctor away, and it can—unless you’re eating the seeds too. Then you’re in trouble! The compound amygdalin that’s found in the seeds, when digested, turns into cyanide, the infamous poison. You’d need to go out of your way to consume a dangerous dose, but it’s still better to just leave the seeds alone. 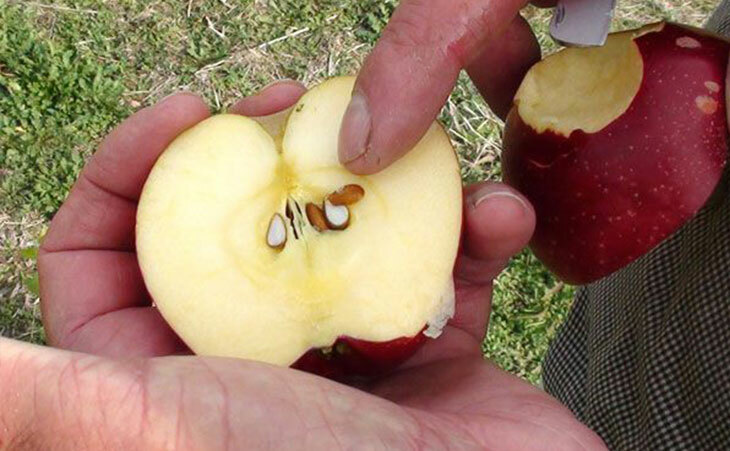 You could even plant them and have more apples! Beans are a common dish, so you may be surprised to know that they actually contain a toxic protein called phytohaemagglutinin. If ingested, the eater would experience extreme nausea, shortly followed by vomiting that can be very severe. That’s definitely not good. But what gives, people eat beans all the time! Well, it turns out that soaking them for 4 to 5 hours and then boiling them for another 30 or so minutes actually destroys the toxic components. With a little care, you won’t be at risk. If you want to be even safer, you could opt for canned beans. While they’re maybe not the most natural option, they’re 100% safe. Now don’t worry, your everyday almonds are completely fine; they’re what’s known as sweet almonds. Bitter almonds, on the other hand, have a heaping dose of cyanide. The good news is that bitter almonds are pretty hard to find. They’re mainly sold online and, though some claim they have health benefits, you probably won’t run into them unless you’re looking outside and find a bitter almond tree. They also occasionally make their way into sweet almond shipments by accident. So, if you run into some bitter-tasting almonds, take the safe road and find a different snack. This immune-boosting, healing berry tastes great in baked goods, and is often added to wine and medicinal teas. It also contains trace amounts of cyanide. Fortunately, they are very trace amounts, and baking deactivates them anyway. The plant leaves and stems aren’t so lucky, as they contain glycoside, which turns into cyanide in the body. And not trace amounts either. So try to avoid making teas using the entire plant. You should be safe. This delicious fruit most often comes from the tree Prunus avium, a close relative of the Prunus dulcis that gives us sweet and bitter almonds. Remember how bitter almonds break down into cyanide in the body? Well, cherry pits (and those of other stone fruits like peaches and apricots) are as well! Hopefully you’re not eating cherry pits by the dozen anyway, but if the thought of adding a (tooth-shattering) crunch to your cherry snack crosses your mind, tell it to cross back again and leave forever. There’s nothing like a strawberry-rhubarb pie on a warm summer day. There’s also nothing like struggling to breathe while ER doctors try to reverse the kidney damage after you ate a pie containing rhubarb leaves. While the stalks of a rhubarb are delicious and safe, the leaves contain oxalic acid and are dangerously toxic. Eat only the stalks and keep leaves away from curious children and pets. If someone eats the leaves by accident, call poison control. This one’s a no-brainer. Obviously, mushrooms you buy at the store or the local farmer’s market are safe (and can evensignificantly reduce breast cancer risk!). But people die every year after accidentally consuming poisonous mushrooms they find in the wild. Mushroom hunting can be a great outdoor activity, and there’s nothing like a dish made with mushrooms you found yourself that morning. Just be very careful, and if you’re inexperienced consider going with a professional guide. When dealing with potatoes, you want to avoid the color green. All potatoes contain trace amounts of solanine, which causes nausea, head pains, and eventually cardiac arrest, but the green ones contain it in much larger quantities. You’d still have to eat more than a whole green potato to be under any serious risk, but weaker symptoms can start much earlier. To be safe, avoid green potatoes, and don’t eat any green bits you find in your fries. Also make sure your potatoes haven’t sprouted, and, if they have, toss them out!